The Destiny faithful who don’t yet have access to the Destiny 2 beta, will probably be spending their time playing the original Destiny. There’s also another group: people who used to play Destiny and are just curious about the weekly changes. Whatever reason you have for reading the weekly reports, you can count on them to have information on the new Nightfall, Heroic playlist modifiers, featured raid, and the rest. As for Destiny 2, the beta for that starts in a few hours. Head through the link to find out everything you need to know. Sunless Cell is this week’s Nightfall with Arc Burn, and modifiers Berserk, Brawler, Airborne, and Daybreak. Berserk prevents enemies from flinching, even after massive damage. Brawler greatly increases your melee damage. Airborne increases the damage you do while in the air. Daybreak greatly increases your ability recharge rate. Airborne, Small Arms, Grenade Kill Bonus. 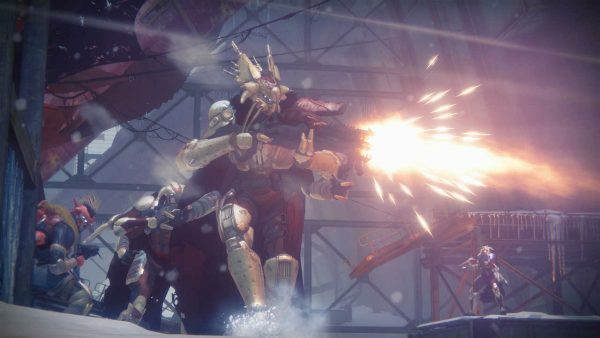 Crota’s End is this week’s featured raid. The Dark Below raid has been changed a bit from what you remember, assuming you haven’t played it since launch. You’ll find new Challenge Modes and some alterations to a couple of encounters.